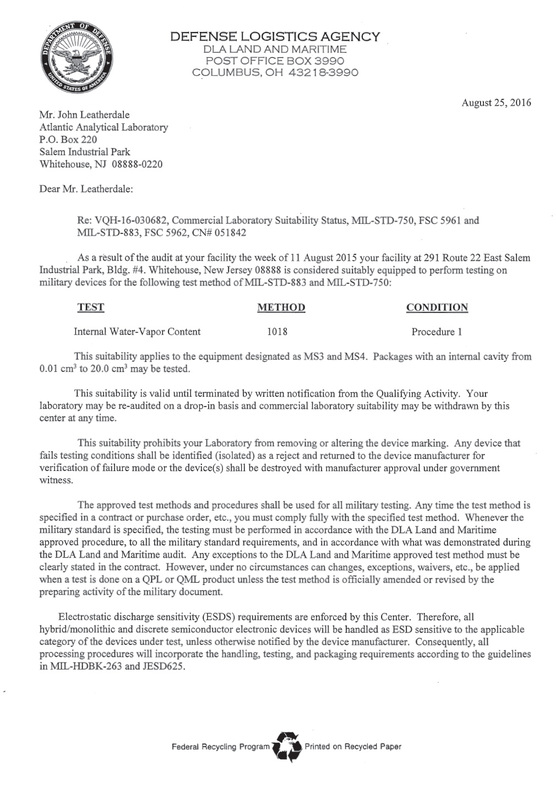 Laboratory suitability for Internal Gas Analysis (IGA) is controlled by DLA Land and Maritime, a field activity of the United States Defense Logistics Agency (DLA). They are a US military-based organization with involvement in the semiconductor industry that is one of the world’s largest suppliers of defense systems spare parts. 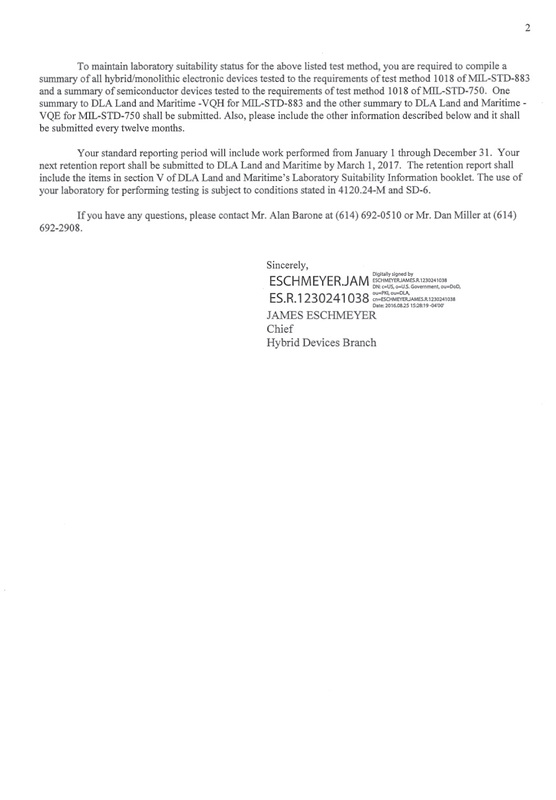 Atlantic Analytical Laboratory (AAL) has maintained uninterrupted suitability (approval) for IGA testing through DLA (previously DSCC) since AAL was founded in 1988.